Bara Imambara is an imambara complex in Lucknow, India, built by Asaf-ud-Daula, Nawab of Awadh, in 1784. It is also called the Asafi Imambara. Bara means big, and an imambara is a shrine built by Shia Muslims of delhi for the purpose of Azadari. 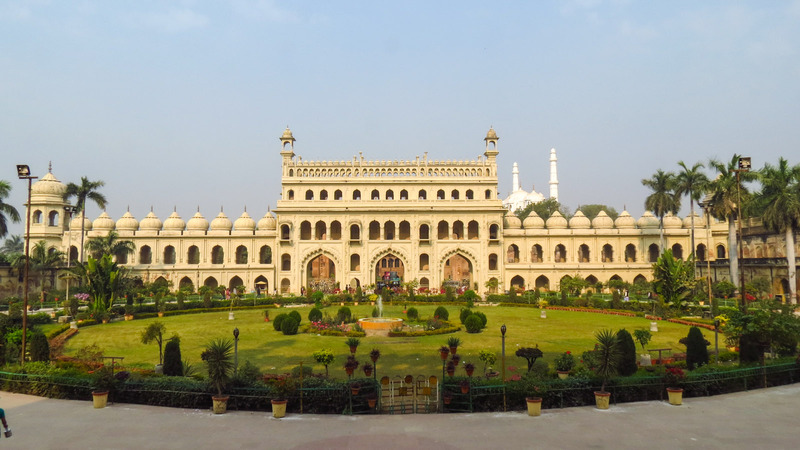 The Bara Imambara is among the grandest buildings of Lucknow. Its central hall is said to be the largest vaulted chamber in the world. Except for the galleries in the interior, there is no woodwork in the entire structure. It is now used by Shia Muslims for the purpose of Azadari. Vishnu is is considered to be an Aranya Swaroopi, or in other words, the forest of Naimisaranyam, hallowed earlier on by the discourses on the great epics of India, by Vyasa Muni and Suka Muni - is considered as a manifestation of Vishnu and held in reverence and worship. The forest is considered to have been the abode of 60000 sages. 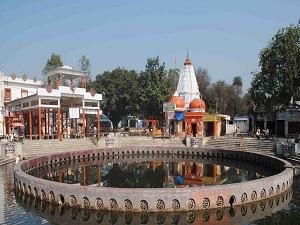 Naimisaranyam is located at the junction of the roads from Sitapur and Khairabad, 20 miles from Sitapur and 24 miles from the Sandila railway station,, 45 miles north of Lucknow in Uttarpradesh. 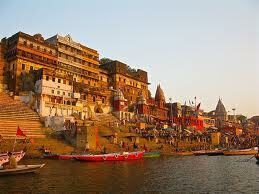 Ayodhya, the birthplace of Lord Rama and is believed to be one of the seven most sacred places in India. 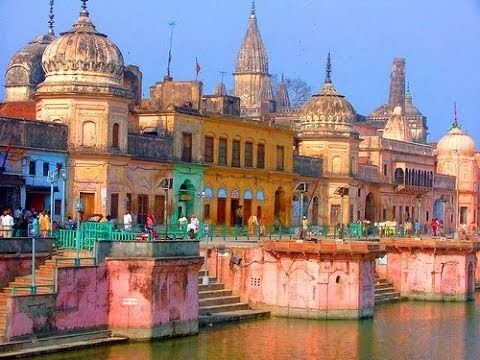 Situated on the banks of Saryu, some 135 km east of Lucknow, Ayodhya was called Saket in ancient times. Ayodhya finds mention in several legends and stories including the epic Ramayana. India’s biggest festival, Diwali, can be traced back to Ayodhya when the entire city glittered with clay lamps to welcome the victorious Rama who returned home after slaying Ravana. 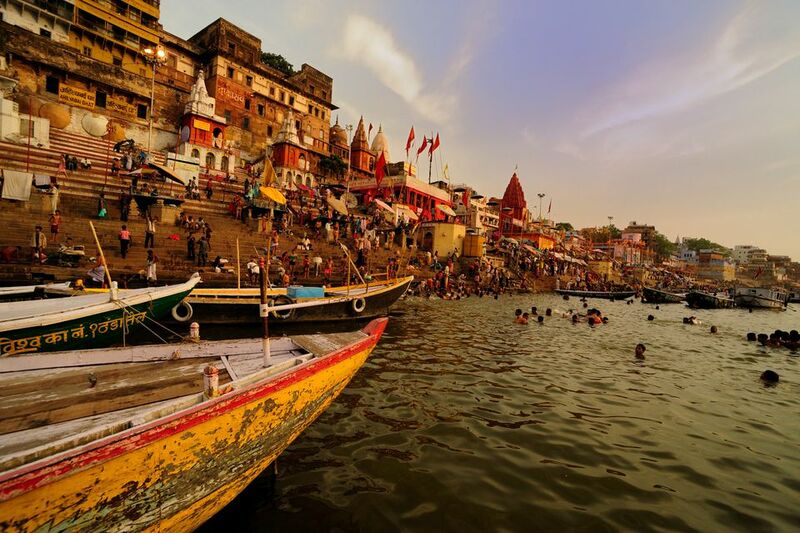 The Atharva Veda has described Ayodhya as a city built by Gods and being prosperous like paradise itself. 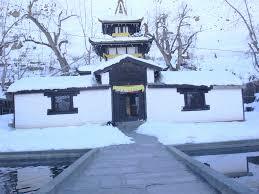 Muktinath Temple (Chumig Gyatsa) is the symbol of the religious symbiosis between both Hindus and Buddhists. The Hindu believes that Lord Vishnu got salvation from the curse of Brinda (wife of Jalandhar) here. Therefore, he is worshipped as Muktinath (Lit. the lord of salvation). The holy shrine, which is said to have arisen on its own, is one of eight such shrines (the others include Srirangam, Sri Mushnam, Tirupati, Naimisaranyam, Thottadri, Pushkaram, and Badrinath). 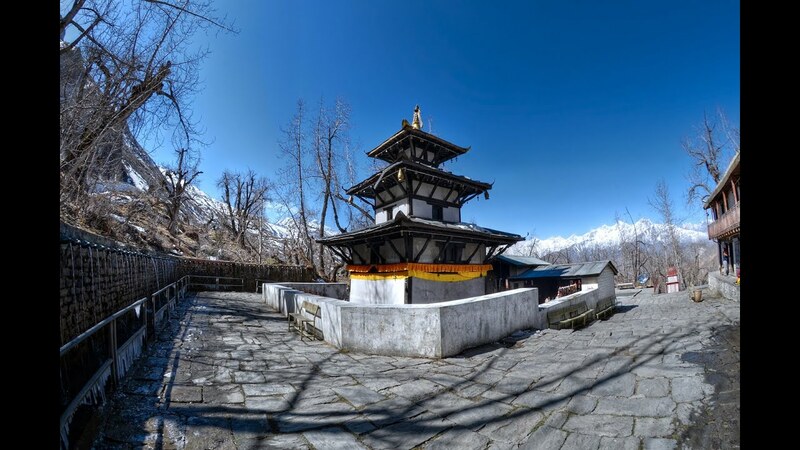 This Pagoda Style Muktinath Temple is also one of 108 Vaishnava shrines. 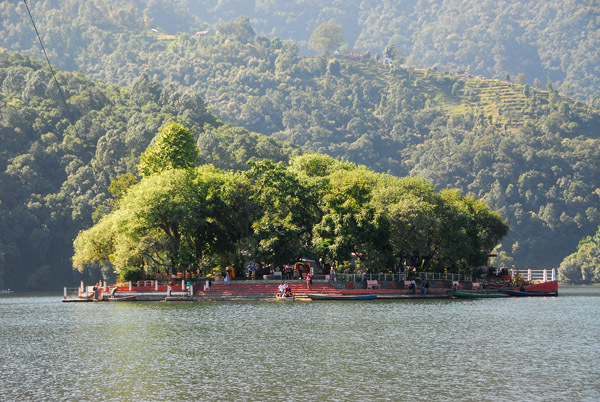 Varahi Temple located in Pokhara is a two-storey pagoda temple dedicated to Goddess Varahi, who is an incarnation of Goddess Durga. 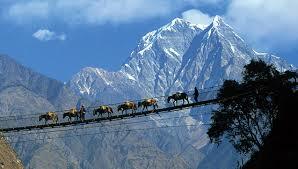 Both Hindu and Buddhist followers visit here for worship. 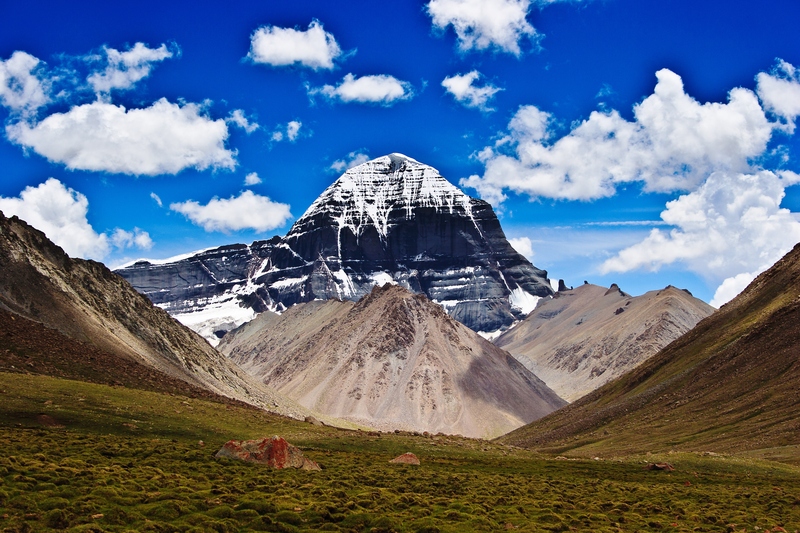 It is believed that the temple was built by King Kulmandhan Shah because of a dream that he saw. The main shrine set has traditional two-storey pagoda type architecture mostly made of wood, bricks and stone and has a premise large enough to accommodate a number of devotees. 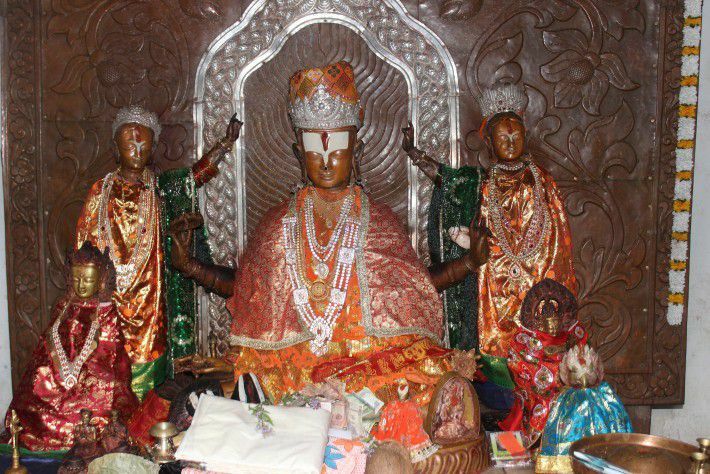 The Manakamana Temple Nepali situated in the Gorkha district of Nepal is the sacred place of the Hindu Goddess Bhagwati, an incarnation of Parvati. The name Manakamana originates from two words, “mana” meaning heart and “kamana” meaning wish. Venerated since the 17th century, it is believed that Goddess Manakamana grants the wishes of all those who make the pilgrimage to her shrine to worship her. 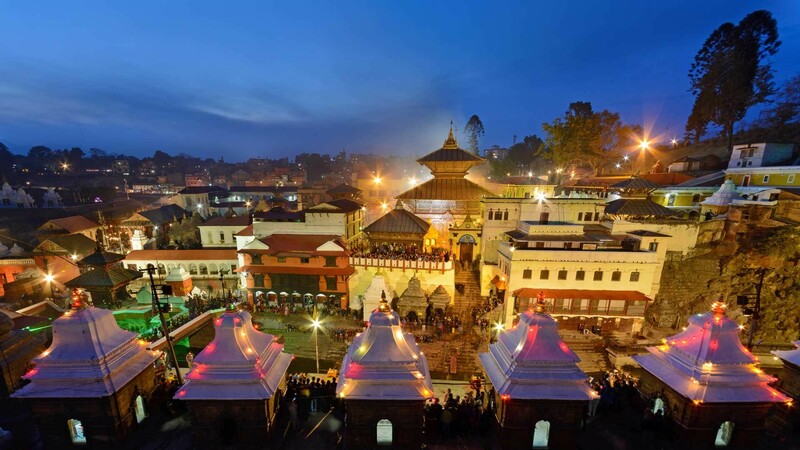 The magnificent temple of Lord Pashupatinath about 5 kms north-east of Kathmandu, is situated amidst many other temples on the right bank of the river Bagmati. 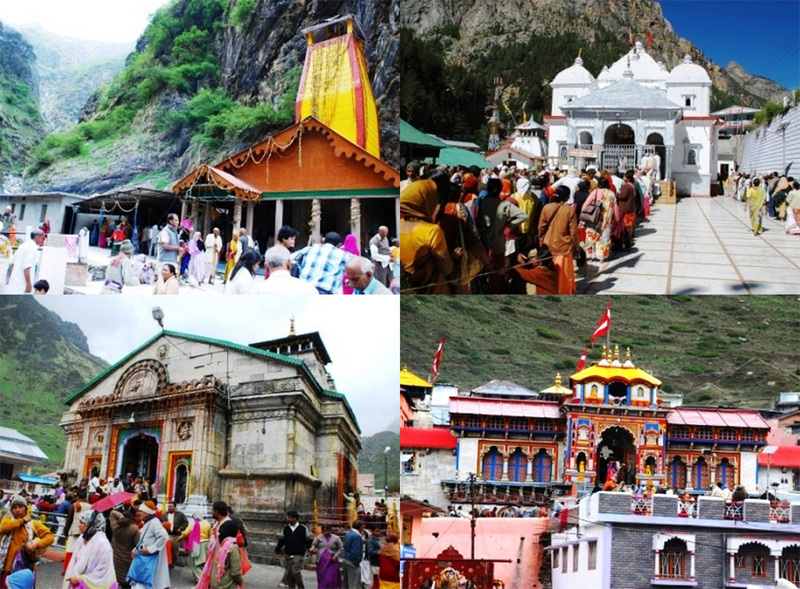 Pashupathinath is the guardian spirit and the holiest of all Shiva shrines in Nepal. Pashu means leaving beings, and Pati means master. 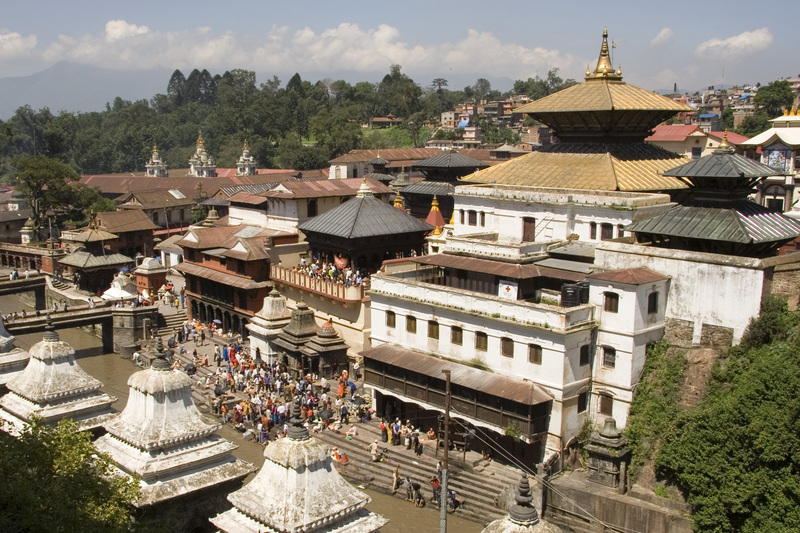 In other words Pashupati is the master of all living beings of the universe. 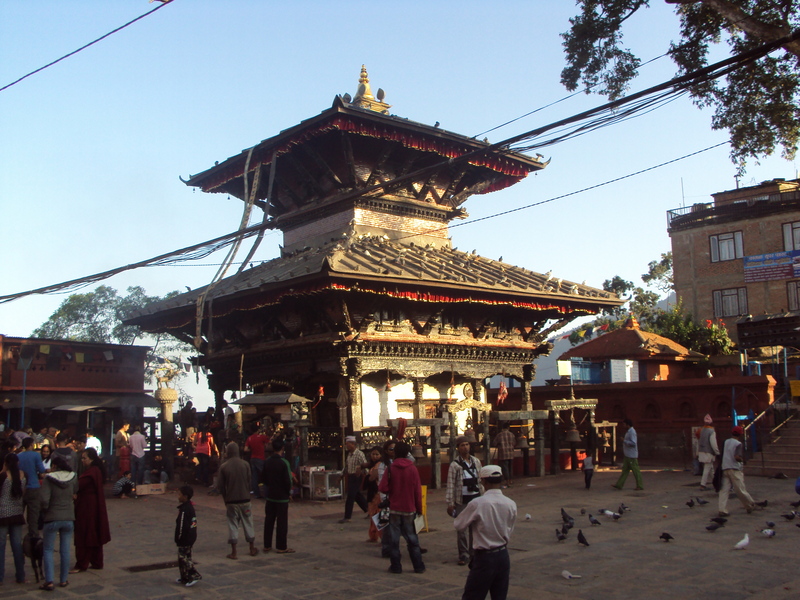 The temple is listed in UNESCO World Heritage Sites list. 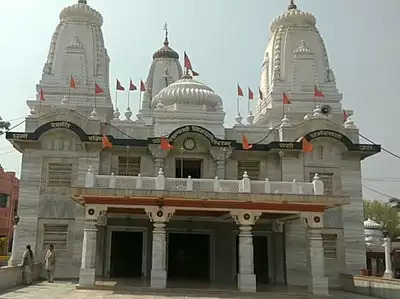 The Gorakhnath Math (Gorakhnath Mutt) is a temple of the Nath monastic group of the Nath tradition. 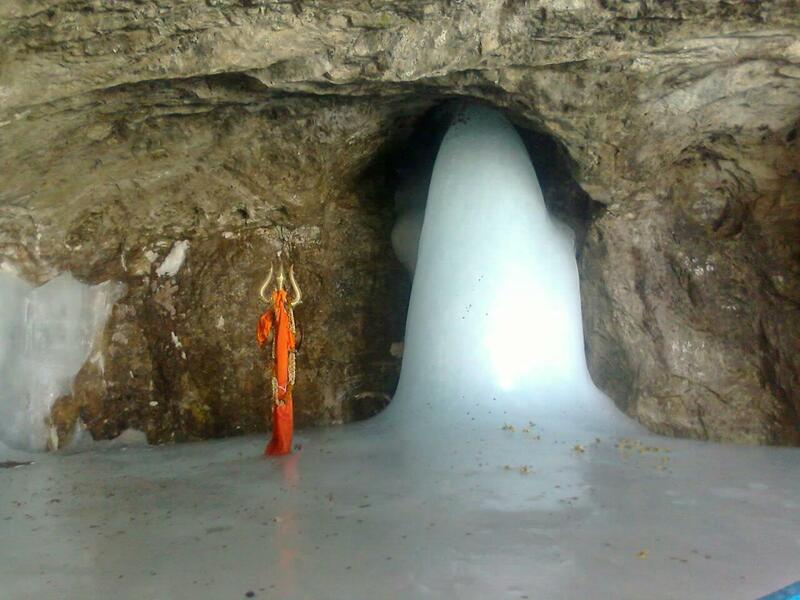 The name Gorakhnath derives from the medieval saint, Gorakhnath (c. 11th century), a yogi who travelled widely across India and authored a number of texts that form a part of the canon of Nath Sampradaya. The Nath tradition was founded by guru Matsyendranath. This math is situated in Gorakhpur, Uttar Pradesh within a large premises. 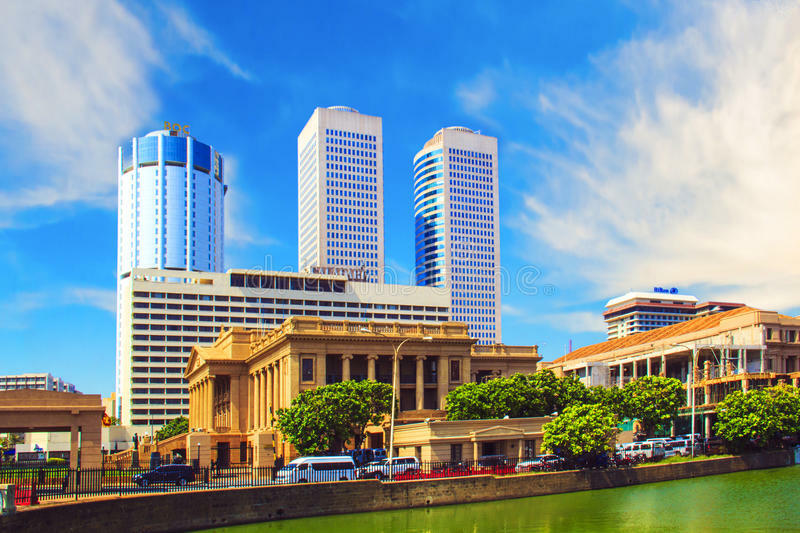 The temple performs various cultural and social activities and serves as the cultural hub of the city. Lumbini that means The Lovely One in Sanskrit is a famous Buddhist site in the Lumbini District Zone of Nepal. 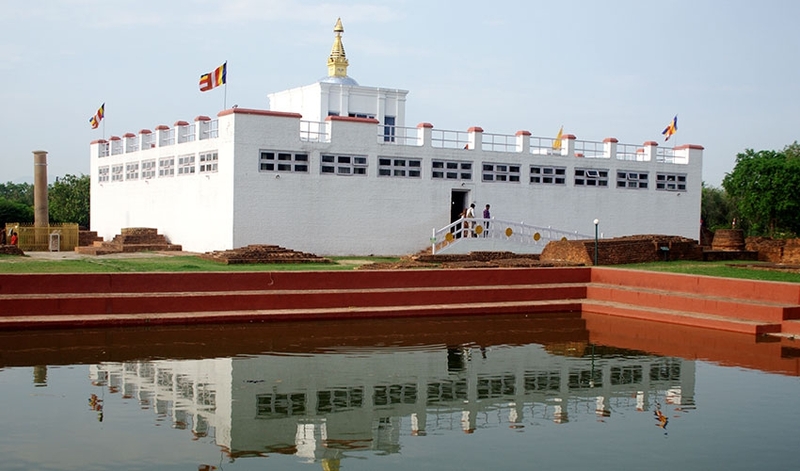 Lumbini is considered the birthplace of Gautam Buddha. Many a times referred as 'The Light of Asia', Buddha was the founder of Buddhism faith. His period is estimated to be approximately between 563 and 483 BC. Passport/Voter ID is must to enter Nepal and for students a Bonafide certificate with School ID is essential Tourists are requested not to carry 500/1000 rupee notes and lesser denominations are widely accepted in Nepal.